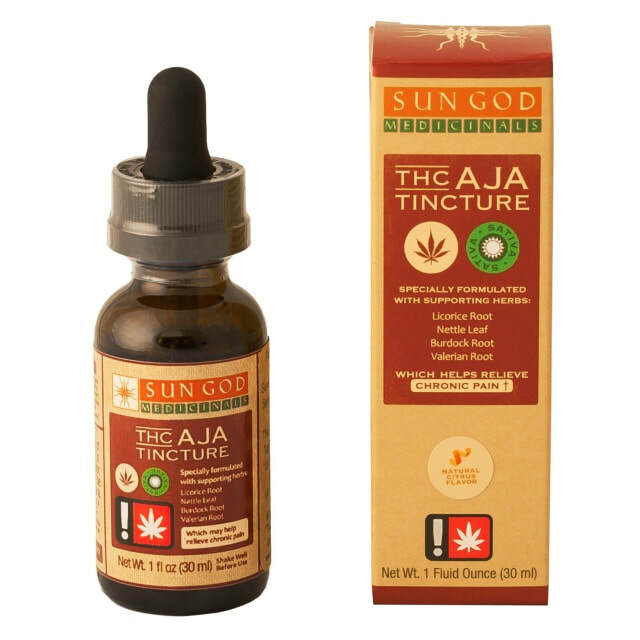 An herbal compounded tincture formulated with cannabis, featuring medicinal herbs that may help address specific symptoms. Extracted using a slow, cold-process method practiced by herbalists for a thousand years, with organic sugar cane alcohol and organically grown herbs - then expertly combined with cannabis and vegetable glycerin. This is a potent, naturally citrus-flavored tincture made of Oregon grown cannabis. It is compounded with supporting herbs like licorice root that may help relieve chronic pain. Choose between one made with an indica blend of cannabis oil, to help invite sleep, or a sativa blend for daytime use. Ingredients: Vegetable glycerin and organic cane alcohol infused with Oregon-grown cannabis, and licorice, nettle, valerian, and burdock roots, d-limonene. Mythology: Aja was a powerful healer in Yoruba legend and thus, in Santerian religious practice. It is said that she was the spirit who taught all other healers their craft. She was a mighty Orisha, and it is believed that if she carries you away but allows you to return after a few days, you will be blessed with her powerful magic. PRECAUTIONS: Don't use licorice root if you have high blood pressure or are pregnant. If you use steroids or an asthma inhaler, licorice root may increase both the effectiveness of the drug and the severity of its side effects. All herbs have the potential for producing side effects and causing interactions with supplements and medications you are taking. Ask your doctor before use.